What is Buynuse? Is Buynuse free? Buynuse is an online social classified platform that brings people together to buy, sell and connect with their local community. 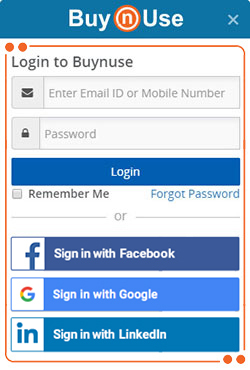 Buynuse is a fun, exciting and a safer way to discover, share and shop. Our platform gives our customers a free and easy way to buy, sell and rent with their local community. To help that happen, we have some rules for our users to follow. ● You have to be eighteen and over to use the site. ● Please do not add any contact details in titles or descriptions. Add them to the right fields. That way you'll have more room to describe what you're selling. ● Add clean, clear and accurate photos. We'll ask you to take them down if you add contact details to them. Or if they lie about what you're selling. For example, posting a picture of a product that isn't yours. ● Please do not add links to other websites in your ad. There's a dedicated field for this when you post your product. ● Choose the best category you can. This will give you the best exposure and keep our site clean and tidy. ● One product per item, and one item per product. To avoid confusion, do not post duplicate products. ● No spam please. This includes spam and keyword spamming in products. Let's keep our community as clean as we can. ● There are certain products which are not allowed to be posted. You can check out the list here. What are the Buynuse Terms and Conditions? What are the guidelines to buy and sell safely on Buynuse? Review potential sellers profiles. Take a look at the seller profile. Some things you can look for are ratings, photo etc. Look for users who have a strong rating on Buynuse or see if you have any social connections in common with the potential seller. Review the listing photo and description closely. 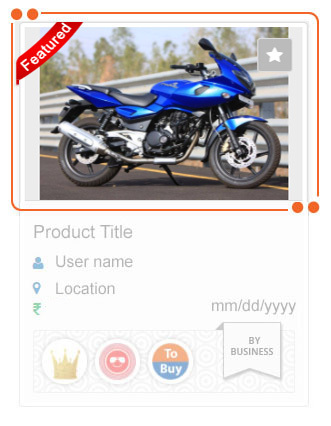 Check if the image a photo of the item for sale is an actual photo or a catalog photo. Sellers are required to display actual photos of the item they want to sell. This lets you see the item condition ahead of time. If the photo and description are unclear, ask questions through Buynuse messaging system. Communicate through Buynuse messaging system. Communicating outside of Buynuse makes it difficult for us to protect your information. It also puts you at greater risk of fraud and other security issues. We encourage you to communicate using our messaging system, and recommend that you do not share personal information with other users. Select a Public Location to Meet. Whenever possible, meet at a public location such as a cafe or shopping mall. Take extra caution when meeting for a high-value item, and inform your family or friends ahead of the meeting. We understand that people meet at a residence to purchase larger items. If this is necessary, we recommend having a friend or family member with you. If you are purchasing a large item, bring someone to help lift or load the item into your vehicle. Be polite and courteous. Sometimes transactions don't work out. It can be disappointing if an items turns out to not be what you were looking for or if an item sells before you had a chance to purchase it. It's still important to remain polite and courteous - chances are you'll soon find the great deal you're looking for. Create a detailed and accurate post. Include an original photo of your item and a detailed description. Make sure you state the condition of an item, and clearly outline all defects or damage. Make sure that your listing follows Buynuse Listing Rules. Review potential buyers profiles. When a buyer contacts you look at their profile for past ratings and photo. 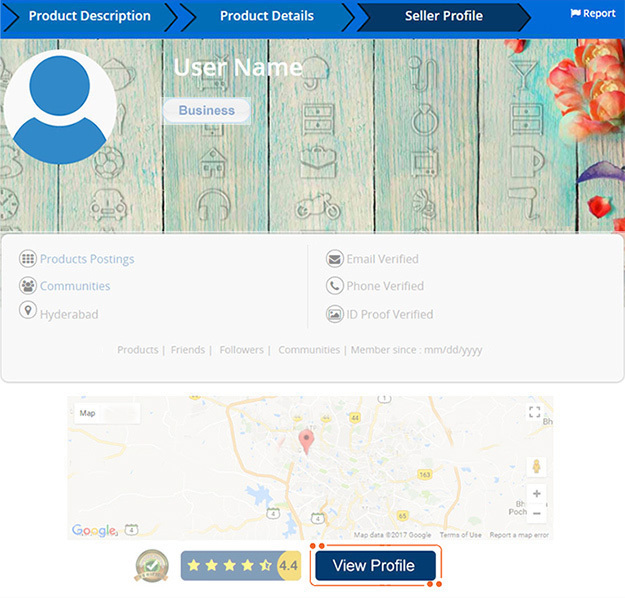 Look for users who have a strong rating on Buynuse or see if you have any social connections in common with the potential seller. If you’re selling a large item, be prepared to help or remind the buyer to bring a friend to help lift or load the item into their vehicle. We understand that people meet at a residence to purchase larger items. If this is necessary, we recommend having a friend or family member with you. Be polite and courteous. Sometimes transactions don't work out. It's still important to remain polite and courteous - chances are you'll soon find the great deal you're looking for. Before negotiating a deal with a service provider, we suggest reading through these tips. It’s a small list of things to look out for, to avoid problems later on. Choose a service provider that’s been in the business for a while. Look for a provider who can prove that it is qualified for the job you need done. Try to meet the person. If you’re looking for an online service, try to meet the person who’s doing the work for you. Speak to them in person and agree payment and service delivery terms. Don’t pay for a service before it’s done. If you agreed on what needs to be done at the beginning, you should be getting the results you asked for. Ask if they are a registered business. Also, ask for the registered business address. These will be useful if anything goes wrong. 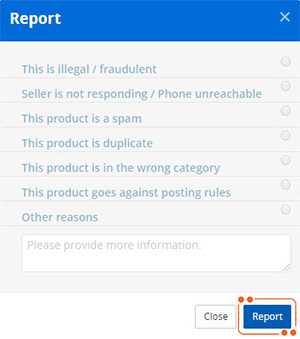 If someone’s breaking our rules and a customer reports them, we can block them and delete their product. If it’s a very serious issue, we encourage customers to call the police. Payment between Buyer and Seller? Buynuse provides an online platform where users promote and search for a variety of goods and services. However, the interaction and negotiations between buyers and sellers are the sole responsibility of the parties involved. Because of this, Buynuse cannot provide refunds or assist with disputes. We recommend buyers and sellers meet in person and that transactions take place only after the buyer inspects the item. Always avoid checks and other kinds of online transfers. For safety reasons, we discourage Buynuse sellers from shipping their items to buyers, as well as paying for items in advance and receiving them via shipment. We strongly encourage buyers and sellers to meet in person to exchange the item and cash payment. Choose a public place like a coffee shop, supermarket or mall to complete the transaction and pay in cash, avoiding checks or online transfers. Will Buynuse publish my contact details? You have an option to select whether or not they would like to show your contact details such as address, phone number and email in your profile, so it's totally safe for you. 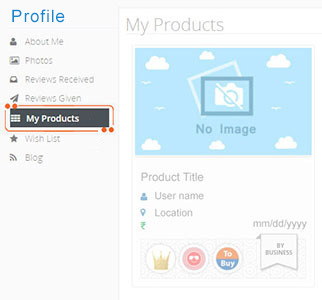 ● From there you can select whether you want other users to see your contact details. Are fake items allowed on Buynuse? No they’re not. It's illegal to sell counterfeits, fakes, replicas, or unauthorised or pirated copies of any product. To comply with the law fully, we don't allow these items to be offered on the site. We suggest you report these items if you come across them. Click here to see list of prohibited items. It may or may not be. The seller might set the price so low because he needs a quick sale. This could be because he needs the money, or doesn’t use the item anymore and wants to get rid of it. It really is a personal choice. But with that in mind, it’s still wise to ask a couple of questions or ask for some paperwork (like the warranty or certificate), just to be sure. Again, we can’t stress enough how important it is to meet a seller in person and check the item properly before you pay for it. Does Buynuse monitor these items? No, we don’t. If we know, without a doubt, that the item is fake we’ll remove it. But we can’t always be completely sure, because we don’t view the item ourselves. It’s really the seller's duty to not resell fake goods, and the buyer’s duty to check the item before buying. If I’m buying online, how do I check if something’s real or fake? Always check the paperwork. A genuine item is usually bought from a shop and will come with warranty papers and/or a certificate of authenticity. Not all items come with paperwork though, so it can get a little tricky sometimes. The absolute best way to know for sure is to look up online how to recognise a replica of what you're buying. If you're looking for a Rolex for your father, go online and look at replicas vs originals - then meet in person to look at the item to check. Chances are that if you're buying pre-owned items, the price range is going to be lower than the retail price, so it is a grey area. Plus, we're always tempted by a good deal. Make sure you inspect the item to avoid disappointments. 1)	The seller may try to rush you into the purchase, saying there are other buyers that also want the item. Don't fall for it. Take your time and make a calculated purchase. 2)	If you ask for a better price on a high end item that's still expensive even though it's not new, and the seller goes ahead and takes a chunk off the price, be careful. Ask yourself if the item belonged to you, how much would you let it go for? What do I do if I've been hacked? Contact us at operations@buynuse.com. We'll need you to change your password and confirm to us that you've done so. Once we're sure that you're the rightful owner of your account and the password is changed, we'll send in a request to reset your account status. How do I report something to Buynuse? If you come across a product listing that makes you suspicious, click the ‘Report’ button on the post. We’ll take a look (usually within a few hours) and decide what to do next. We’re here 24/7, every day of the year to help. What should I do if someone scammed me? We’ll get on the case immediately and give you advice on what to do next. We’ll also work hard behind the scenes to protect our other customers. We work very closely with the law enforcement and will share information with them. If this happens, we’ll guide you through what happens next. Step 3: Once you submit the above information, you will be directed to Mobile/Email verification page. 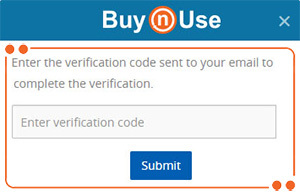 Once the verification is done through the OTP/email link, you become a registered user of Buynuse. 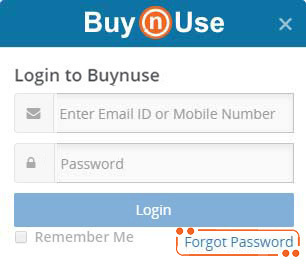 Once registered, you can use your credentials to login to your Buynuse account. Do I need to register to post products on Buynuse? 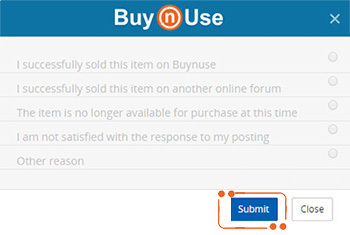 Yes, you need to be a registered user to post products on Buynuse. 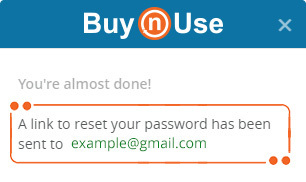 How do I Sign in on Buynuse? Sign in allows you to access your account and post products on Buynuse site. 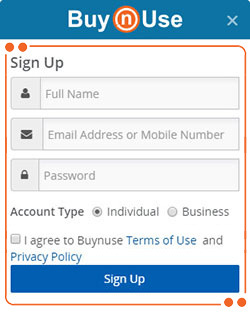 Step 2: If you have a Buynuse account, enter your registered mobile number/email address and password to sign into your account. 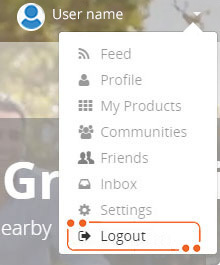 Or you can login through your Facebook, Linkedin or Google+ account. ● Next enter your email address. ● You'll receive an email with a link to activate the new password. Step 2: Enter the new email or phone number that you would like to update. Click on “Verify” button to verify the new information enter. Key in the verification code to complete the update process. Step 3: Click on “Show” if you would like to make the email or phone number visible to prospective buyers. Step 4: Click “Save” at bottom of the page to save all the changes. Any account with a verified badge on their Buynuse profile is a verified account. It is to let our users know that you're a trustworthy source. For requests to verify individual accounts (that do not represent a company or organization), we require a copy of your official government-issued photo identification (e.g. driver’s license) in order to confirm your request. Information used for this purpose will be deleted. For requests to verify business accounts, we require documents that support verification of business address, support phone, support email, along with managing member’s proof of identity. You can submit a request to verify an account by verifying your email and phone number in Edit Profile. 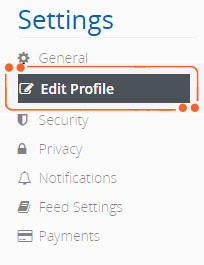 The support documents can also be uploaded through Edit Profile section, and we’ll respond to your request via email. If you received a response from us requesting edits to your account and/or additional information, you can submit another request any time after completing the steps outlined in our response. Can one lose their verified status? You will be able to see total number of reviews, as well as each detailed review in this section. ● Make sure you don't already have an account created with the same email address. ● Make sure the password you're attempting to set is at least 8 characters including 1 uppercase, 1 special character and 1 number. 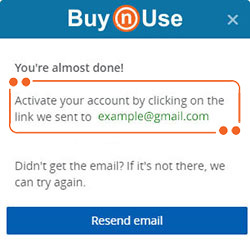 ● If you're signing up through Facebook or Linkedin, make sure you're allowing Buynuse access to your requested details. ● If you're signing up through Google, make sure you're entering the correct email and password for your Google account. ● Make sure you're not attempting to sign up instead of logging in. ● Make sure you're logging in with the same service you signed up with (email, Facebook, Linkedin or Google). If you have multiple Google accounts, make sure you're logging in with the same email address you used to sign up. ● If you're logging in with your email address, make sure you're entering the email and password correctly. 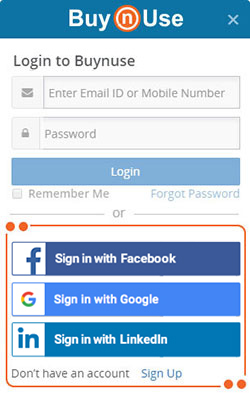 ● If you're logging in with your email address, try resetting your password by tapping the "Forgot Password" link under the login form. Make sure to enter the same email you used when you signed up. ● Clear your cache, cookies and temporary history. Also, try using a different browser. 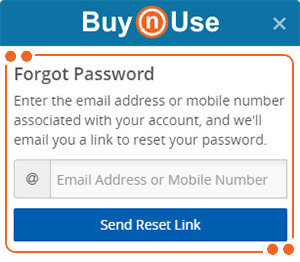 How do I log out of Buynuse? To log out, click your profile picture in the upper right corner. Click "Log Out"
Why am I blocked from using Buynuse? If you believe you have been mistakenly blocked, please contact us at help@buynuse.com so we can review your account and take appropriate action. How do I list a product on Buynuse? A good product post attracts buyers for you. It is crisp, complete, provides clarity and fetches the desired response. 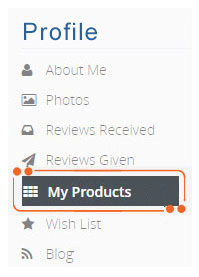 To post a product, create an account on Buynuse, login and click the "Post Products" button. Location details, as well as verified email or phone number, are required to post products. First choose an appropriate category and sub-category for the item or service you are offering. Choosing correct Category will get you more exposure. Mention the product offered very clearly in the Title in 70 characters or less. Enter detailed description of the product. The condition, make and design, quality, color, additional accessories etc. can be added here. Select relevant stamp to make your product stand out. You can also add a link to a YouTube video if you would like. The more visual you make your post, the more views you will get. 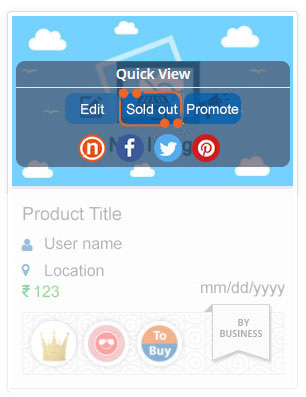 Set a reasonable price and quantity and click the “Post Product" button. The price should correspond to the market pricing and reflect the actual product condition. Clear Title: If you are editing the title, ensure to clearly mention the item or service offered in 70 characters or less. You can also opt to make your post Featured Ad to help you get more exposure. Which category should I post in? Choosing the correct category is crucial as a lot of people search by category. Choosing the right one can get you more views and better responses to your posts. Also, once you post your product, you can’t change its category. Note that categories break down into sub-categories, so be as specific as possible. What happens if a product is posted in the wrong category? Buynuse will either take the post down or will send you an email suggesting a category. However, if you keep posting in the wrong category, we’ll restrict your account. Anything I should know before I post a product? What is prohibited to buy and sell? Yes, we have some posting rules on the site. Quickly read through them, to avoid us having to contact you to change something. Is the location I use to post important? Yes, it is definitely very important. Since Buynuse promotes local buying and selling, so being available to people close to home is key. It is also great for a buyer to be able to meet you in person and look at the item before you sell it. Note that when posting a product, ensure that you have correct location in your profile as you will not be able to make changes once the post is live on the site. If you post a product with incorrect location, you’ll have to delete it and post a new one after updating your address in the profile. Can I post in more than one location? No, Buynuse does not allow posting the same post in more than one location. If you’re offering a service and need to post in more than one location, list the areas in the product post description instead. How does radial search work? Radial Search allows you to broaden your search. If you are looking for a product in your location, but can’t find one you like, you can choose how far away from your location you’d be willing to travel. You’ll find this option after you run a search from the homepage. It will be on the left hand side of the results page, where all the ads are in the listing. If you are willing to travel 5 miles away from your location to view a car for example, why not broaden your search to get more results. How do I edit a product post? Why would I need to edit my product? You can edit your product if you want to change information you’ve put in the description, if you need to put a better title, or make changes to the price. 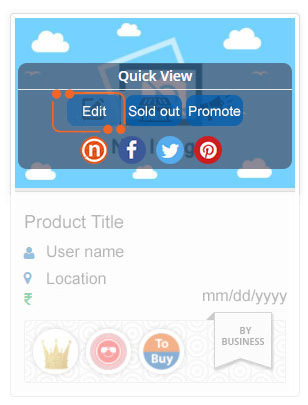 Please note that you will not be able to edit your location or the category of your product. How do I contact a buyer or a seller on the site? First, you need to be logged in to contact people on the site. When you create your profile, you can choose if you want people to get in touch with you by email, phone or SMS. Same if it’s someone else’s product – you can contact them using whatever contact preferences they put onto their profile. Your phone number, partly hidden, will show next to your product post. People interested in your ad just need to click ‘Reveal’ to see the complete phone number. If you also text the other person by using the SMS option. Type your message in the space provided and click. When someone likes what you’re selling, they can email you by writing the message in the provided space, and clicking the “Send Email” button on your ad. Their message will go to the email address listed on you profile as well as to “Buynuse Inbox”. You’ll be able to reply to the person immediately from the Inbox. If you also text the other person by using the SMS option. 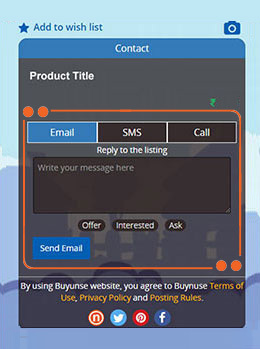 Type your message in the space provided and click “Send SMS”, Your message will also appear in the Buynuse SMS log under Buynuse Inbox. Quick tip: Set up your primary contact, via email address or phone in your Profile. Receiving messages from other people will depend on this. To check which email address or phone number is set up on your messages, you can click on the ‘Edit Profile’ under “Settings”. The email address and/or phone number displayed is the one it’s set up on. 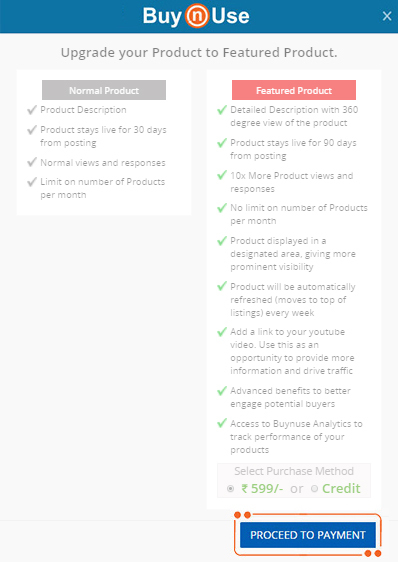 What is Buynuse Featured Product? Featured Product is a service from Buynuse which allows you to display your product in a designated area and highlight your product giving it better visibility and a better chance at selling. You can use it to make your product stand out in the listings. Featured Products is eye-catching and distinguishable from the normal products. These Featured Products appear on the top of the search results in a separate section. All Featured Products contain a “Featured” tag. Disclaimer: We do not guarantee an increase of a specified quantum in the responses received by you and any representation on the Website in this regard is merely indicative. How to subscribe for Featured Product? You can subscribe for Featured Products whenever you like. Some people choose to do it when they post a new product. However, you can post a regular product first and feature it later if you see you’re not getting the response you wanted. Posting a Featured Product is very easy. 2)	Once the product is posted, you will see a confirmation message and also an option to upgrade your product to Featured product. 3)	Click on “Proceed” to buy Featured Product package. 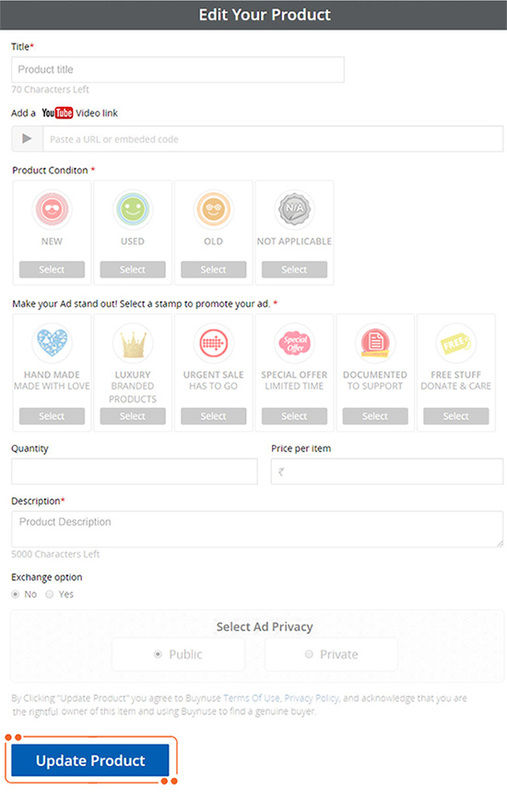 4)	You can then avail the payment options online for buying Featured Product option. 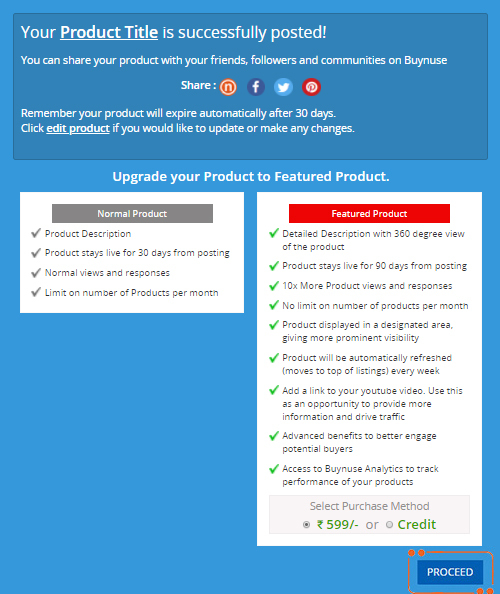 If you have posted a free product on Buynuse, you can easily “Feature” it on Buynuse. 3)	Next, click on “Proceed to Payment” and you will be directed to the payment page. Choose a suitable payment mode. How soon does my Featured Product appear on Buynuse and how long does it remain live? The Product will remain live as Featured Product on our site for 90 days from the payment date. Note that the payment made for Featured Products is non-refundable. The Featured Product can be cancelled/deleted by you once the payment is made however, payment made will not be refunded. Where can I see my Featured Product? Your Featured Product will get the best exposure in the sub-category you posted it in. So if you posted it in “Laptops”, it will be much more prominent there, than it would be in the “Electronics” category, because it is more specific. It will definitely feature under “Electronics” but the pool of Featured Products would be bigger in the main category. Can I edit my Featured Product? What else should I know? Once you feature your product, we won’t be able to refund you if you change your mind. You also won’t be able to remove the feature from the product or transfer it to another product. The Featured Products rotate on the site to give everyone the same visibility. Since number of products are featured on the site, and since we can’t put them all on the first page, they rotate to allow all featured products to be shown on the first page as some point. How do I access someone else’s profile? 1)	Click on their product picture. 4)	If you would like to know more about the seller, click on the “View Profile” button at the bottom of the page. The complete seller profile page will open. Any communication between buyers and sellers is completely their own decision. Buynuse does not participate in any negotiations between buyers and sellers. ● Seller might have responded but the reply went into your spam/junk folder (always check there). How to remove my Product or mark it as sold? 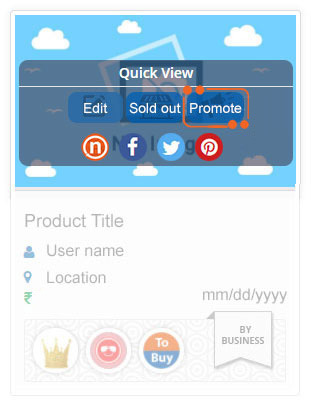 Step 4: Once, you mark your Product as Sold, your Product will not be visible to Buynuse users any longer. ● You’ve broken one of posting rules. What's the best selling price for my item? There is no best selling price. Setting a fair price for your item will help you sell faster. How can I report a product post that appears to be violating Buynuse rules and policies? 3)	From the drop-down menus, choose the reason for your report. 4)	Make sure that the post is really violating a Buynuse policy by reviewing the relevant policy here. After we receive your report, we consider the circumstances, including the user's past history with Buynuse. If we decide to take action, we may send the user a warning, remove the listing, or limit the buying and selling privileges. If a user violates our policies multiple times, we will suspend the account. I’m not receiving Buynuse emails, what should I do? Your e-mail service provider always looks to protect you from unwanted or malicious e-mails, such as spam, phishing or scam e-mails. Your e-mail will transfer these directly to your Junk/Spam folder. In some cases, they’ll make a mistake and remove e-mails you actually want to see. Therefore, if you are using an online email account, please check your bulk/junk/spam mail folder. Some email providers and ISPs have implemented "spam filters" some of which are badly designed or misconfigured, resulting in Buynuse emails being filtered out or intercepted. Another reason can be that your email provider may be experiencing delays, or other technical issues. ● Check that your mobile phone is in the network coverage area. Poor network can result in delay of OTP getting delivered to your phone.